After that song played about ten minutes went by and suddenly Wolf popped the question and married Anerushka! So, River and RobPathfinder mentioned a few songs to play. Shakespear's Sister, "Stay". And River's suggestion was "Sweet Wine of Love," by Robin Trower. And I did play them telling the couple how special it was for them to begin their lives together. I was so happy for them both! So here is the special song I played with a dedication to them on the spot. From This Moment by Shania Twain. I felt it was fitting since from that moment on, they would be starting and having their lives togather. And how cool was that, they did it right in River's club?? Awesome! 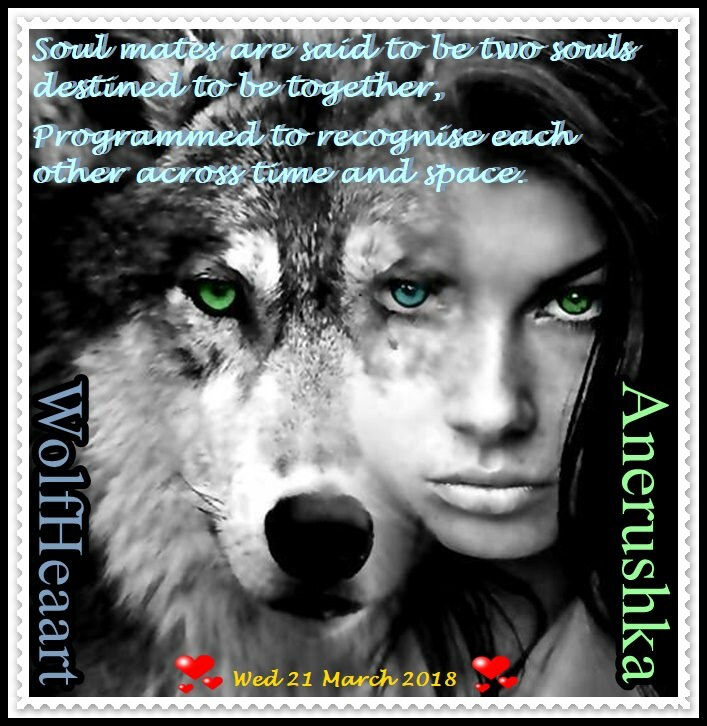 And for them I also made Wolf and Anerushka a special picture to capture that moment. Its now featured on his profile picture!! Now this thread is for POSITIVE entries. Not negative ones. Congratulations for friends who marry or special events witnessed. That type of thing. I STRONGLY urge anyone else posting here to keep it to that. No negative bashing etc. Or I will ask the Moderator to remove it and ban you! That said. Please Feel FREE to post special things you feel worthy to post and journal! Thank you to Vaughan and Jason for your posts! Now something else happened that same night in Downriverdens' club..March, 21st of this year. Carus and MacyD were celebrating their 10 month wedding anniversary. MadameNightShade gave me a heads up about that! Thanks Madame! And she reminded me that their special song was AMAZED by Lonestar... so I played that and dedicated that to them! Macy was thrilled. And Congratulations went up from all of us. Love Island...... Now that is a place that always comes to my mind for special places for love and romance. Tonight for instance. This great couple took their vows and got married right there. Ssinful and SsamSinful got married. His words were short, but sweet.. and it was beautiful to see. Loving and devoted couple being together. They have an open relationship but they are devoted to the happiness with each other. This Picture was made for the couple by VaughanRarius. I cried.... I know big fat tears..... rolling down my face while I snapped pictures and watched two people so in love, become married. 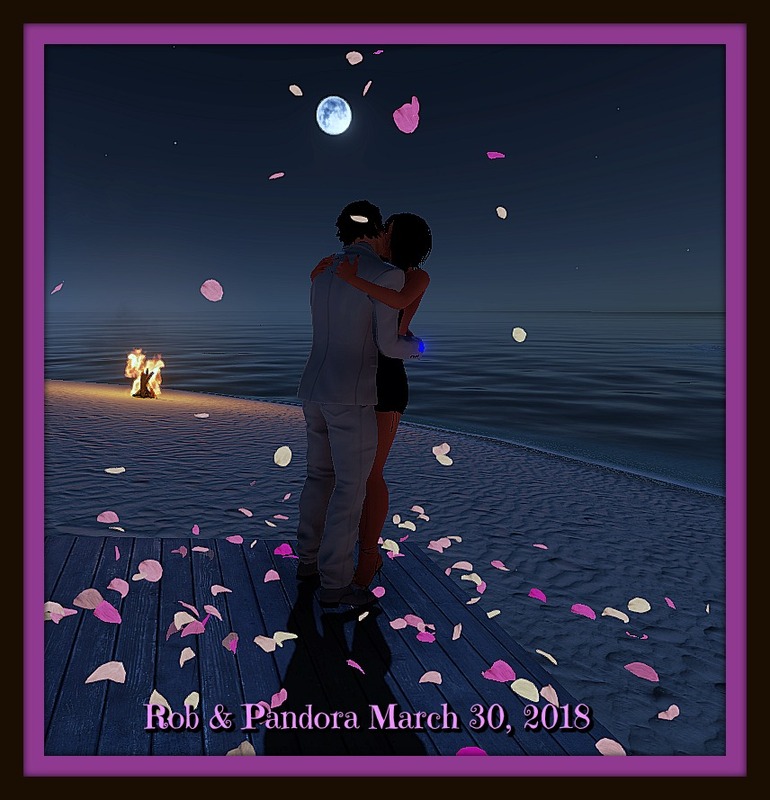 I married someone I admire, love being with, entrust fully, miss when she is not online but when she is PandoraVonSayalin is my haven from the crap of the real world and some assholes bring to 3DXChat. I played this for her, and sent her the lyrics as the song played. It is love and something else that my words can not describe why I love her because to me, she is the best. Volbeat : Something else or..
Risking the wrath of my beloved by posting another personal message here about our lives The day I meet her and she swept me off my feet in a whirlwind romance will always be the best day of my life. Its been 6 months married now and we are so much in love its almost unbearable. I wish I could show you photos, but I am expressly forbidden from that in the forums. I love you JSG more than life itself and I will be forever yours. So for her... I make this note and message. I wrote my mother songs and had a ladies choir perform it for her one year on Mother's day.. it was small in terms of tributes to her hard work and dedication but the words and music came from my heart.. I leave this song as tribute to her and my dad..... for all they did in this life for each of us kids and for myself... That they made me who I am..
Today, I'm celebrating with my beautiful wife JennyL, two years of marriage. I want to thank her for all the great times we have shared and look foirward to creating many more memories with her. Congrats to Nick and Jenny!! 2 years is a long time in here... you two are great together!! Thank you for our amazing day! I will say yes a million times <3 Love you! Thanks for always being there for me in everything and being the man you are! 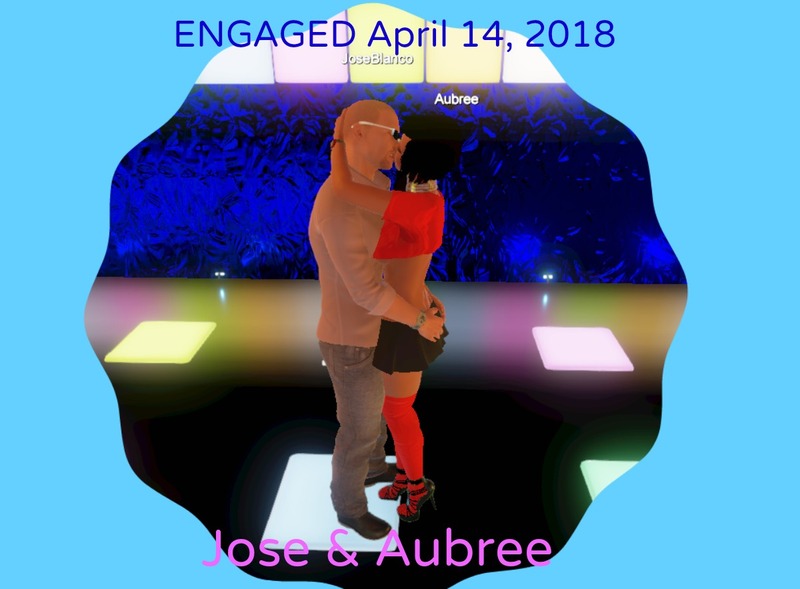 Today during the Synthesis of Sound event, Rocking Country Nights, our own JoseBlanco proposed to his girlfriend Aubree with a song, asking her to marry him. and of course she said YES! What a beautiful thing to see... We all wish them love, light, laughter and lots of Happiness! HazyRays got married today. Fri 20 April 2018. Congratulations to the Happy Couple & may your kissing bells keep ringing. Crowe and I celebrated 7 years being together earlier this month. I met my best friend that night in RLC all those years ago. 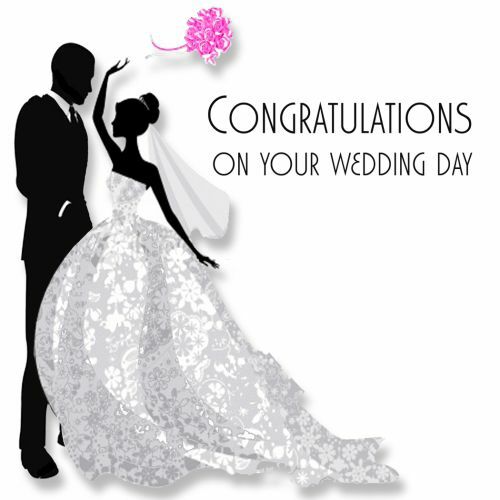 Congratulations to all the couples celebrating their wedding day or their annivsersay. Enjoy your day with a luxury wine gift basket for each.